Cancellations must be sent in writing to KUONI. Cancellations received by 22nd December 2018 will be fully refunded less a EUR 35, - administrative fee. If a cancellation is made between 23rd December 2018 and 26th February 2019 a service charge of 50 % will be charged. After 27th February 2019 no refunds will be made. Transportation: buses will leave from Hesperia Presidente hotel at 20.30h. Return trip after the dinner. 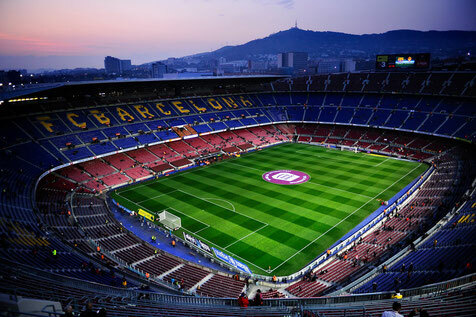 Stadium tour: 26 euros per ticket (VAT included). A minimum number of 30 people will be required to run the tour. In case the tour needs to be cancelled the tour ticket will be fully refunded. Deadline to register for the tour: Thursday 21st March. Cancellations received up until 18th March 2019 will be fully refunded less a EUR 35, - administrative fee. After that date no refunds will be made. You can additionally book a guided tour that will allow you to enjoy panoramic views of the stadium with exclusive access to the press box, the museum, the dressing room, the press room, the tunnel and the ground.